Everyone is welcome! For the potluck dinner, bring your favorite dish to share plus your place setting(s). 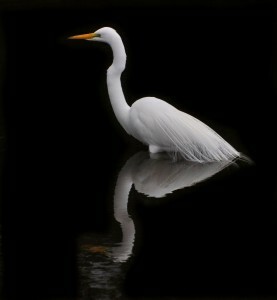 Join Peace River Audubon for an evening of good food and great photography. Voting will be held for our 2016 Photo Contest. Both members and visitors are eligible to enter. 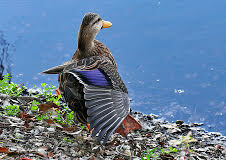 Mottled Duck by Larry Behrens. Tied for 1st Place in 2015 Group B.. Photographers: Have you selected your photos for our December contest? If not, it’s time to act! The contest is a main feature of our December Potluck meeting and a fund-raiser for the Youth Environmental Education Fund. This year we will again hold two contests: Contest A for photographers who have had winners in previous contests in the past 3 years, and Contest B for anyone else. First place winners in contest B move on to Contest A in succeeding years. This year’s date is Thursday December 15. Bring your photos early – between 5 and 5:15 so that we can be ready when the doors officially open for the evening and you can get in line for the potluck in a timely fashion! This year we will move the award ceremony to our February meeting. 8×10 color prints or black and white prints. Matting unnecessary. Keep a digital copy of each of your entries so that we can display the winners on screen. Great Egret by Linda O’Neill. Tied for 1st Place in Group B 2015. 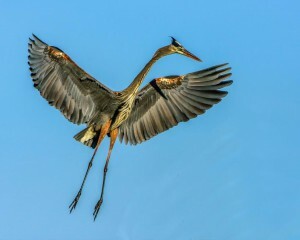 Great Blue Heron by Jerry Waters. 1st Place in Group A 2015. Go to http://peaceriveraudubon.org/2015-photo-contest-winners/ to see last year’s winners! We will also have a speaker during this year’s Potluck. William “Coty” Keller lives in Port Charlotte with his wife Marge. He is in fourth career. Coty served for over 20 years in the US Navy. His favorite jobs in the Navy were Captain of ships (he got to do that twice) and teaching management & national security affairs at the Naval War College. Coty’s second career was in industry, in both service (insurance) and manufacturing (yacht production). His third career spanned two decades in college teaching, almost all of it with graduate level professionals. Coty was an associate professor of management at St. Joseph’s College in New York and adjunct professor of National Security Affairs at the Naval War College. In 2015, Coty “retired” from teaching college and has shifted the focus of his professional efforts to ecological matters. Current projects include leading the Port Charlotte/Punta Gorda chapter of Citizens’ Climate Lobby, eradicating invasive species from the mangroves in the Charlotte Harbor Aquatic Preserve, and promoting action on Climate Change with Florida Veterans for Common Sense. Coty has a bachelor’s degree in Psychology from Colgate University, a master’s in Financial Management from the Naval Postgraduate School and a PhD in Decision Science from Walden University. 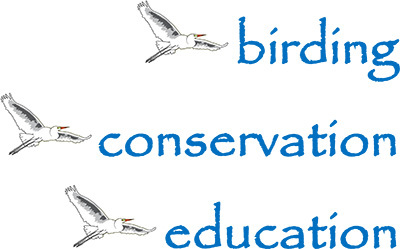 He is certified as a Florida Master Naturalist by the University of Florida.